Following R.E.M. 's 2011 breakup, Peter Buck issued a vinyl-only self-titled solo album in 2012. Now, he's back with another wax-exclusive LP for Mississippi Records. 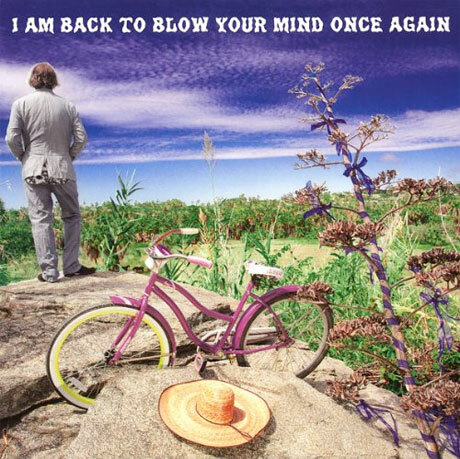 The hilariously titled I Am Back to Blow Your Mind Once Again is due out very soon, since listings have it arriving February 18. In regards to the lack of traditional promotion surround the album, Buck explained in a statement on R.E.M. 's website, "I spent over 30 years in what is laughably called the professional music business, and I came to the conclusion that there were 3 things that I loved: writing songs, recording songs, and playing songs. So that is how I run my business in conjunction with Mississippi Records: no interviews, no photos, no videos, no promo copies for radio play or reviews. The record is out there. It can be found." As for the title, Buck wrote, "No false modesty, maybe no modesty at all, I once saw an orangutan try to break into a box of live lobsters on Hollywood Blvd. That blew my mind. I am hoping my album does the same for yours." For those who can't find a copy at their local record store, it can be ordered on Amazon or at Mississippi/Little Axe Records. That's the album cover above. Buck will be touring with Alejandro Escovedo in the coming weeks. Currently, the only confirmed dates are in the U.S. The schedule is here.